Volkswagen has quietly slipped in the Polo GT TDI in the market at Rs 8.08 lakh, ex-Delhi. 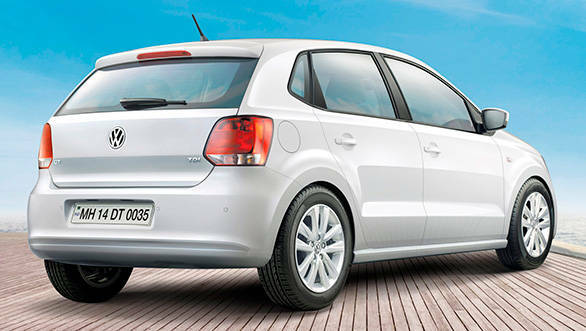 The Polo GT TDI boasts of a 1.6-litre 4-cylinder turbo diesel engine from the Vento which makes 105PS and 250Nm. It comes mated to a 5-speed manual gearbox. Volkswagen claims a fuel efficiency of 19.78kmpl for the GT TDI. The Polo GT TDI gets halogen headlamps, a GT chrome grille and 185/60 R15 alloy wheels. Inside there is a new Milan fabric upholstery, leather wrapped steering wheel, gearshift knob and handbrake lever. Volkswagen has also added smatterings of chrome inside the cabin. As far as convenience features are concerned, the GT TDI has auto AC, height adjustable driver's seat, remote locking and multifunction steering wheel. Amongst safety features, the Polo GT TDI comes with dual airbags, ABS, a triple flash lane change indicator and rear parking sensors. Volkswagen now offers the Cross Polo, GT TSI, GT TDI and regular Polo in the hatchback segment. Sales of the GT TDI start from today. Commenting on the launch of the New Polo GT TDI, Arvind Saxena, managing director, Volkswagen Passenger Cars, Volkswagen Group Sales India Pvt. Ltd said "We are committed to bringing in the latest and the most efficient vehicle technologies to the Indian market. The New Polo GT TDI has been created to cater to the requirements of discerning customers, who want the best possible mix of strong power delivery, outstanding driving dynamics and class-leading fuel efficiency."